It’s common knowledge: cats are some of the cleanliest animals. As a proud owner of one or more felines, you have probably watched them meticulously grooming themselves for hours at a time, every single day. This habit, naturally ingrained since the early weeks of a kitten’s life, leads to a soft and shiny coat, bright eyes, and clean ears too. Every now and then, however, a cat just happens to be not a talented self-groomer, or simply, as a part- or full-time outside cat, spends lots of time in varying weather and environmental conditions, causing dirt or debris buildup anywhere on their skin, hair, and especially in the ears. This article specifically focuses on your cat’s delicate ears, how to recognize the signs that they are in need a good cleaning at home, or in what circumstances you may need to turn to a veterinarian instead. It also offers practical advice when it comes to picking the right tools, as well as the best cleaners to consider for this procedure. First, let’s take a look at what healthy cat ears look like inside and how they develop throughout their lives so that you can determine when it’s time to act before dirty ears progress into an ear infection or other, more problematic situations that often warrant quick medical attention. How Should a Healthy Cat’s Ears Look Like? Throughout your cat’s life, you can recognize ears that are in top shape quite easily. As the website of WebMD explains, healthy cat ears are perky and sensitive to all kind of sounds and activity around your pet. On the outside, they should be covered with a thin layer of hair without balding spots; the insides ought to be smooth, pink, and clean. 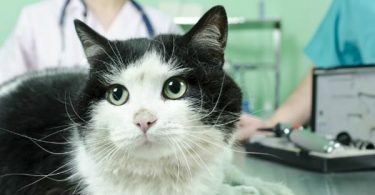 Any kind of dirt, debris, discharge, or redness observed could be a potential cause for concern, meaning that your cat’s ears are either due for a careful cleaning or that they potentially need to be examined by your vet. While cats’ ears do get dirty and it’s not considered abnormal, a caring owner needs to stay on top of this issue for their pet’s health’s sake. Why Is My Cat’s Ears’ Health and Proper Development Important? 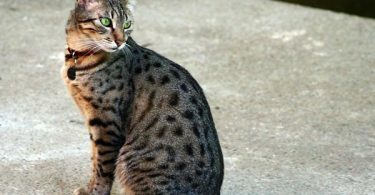 Excellent hearing, of course, is of utmost importance for cats, especially in the wild or if they live outdoors for any period of time; however, ear health is crucial for multiple reasons from a kitten’s birth till the very end of their lives, as they also serve other vital functions in a cat’s optimal health and well-being. 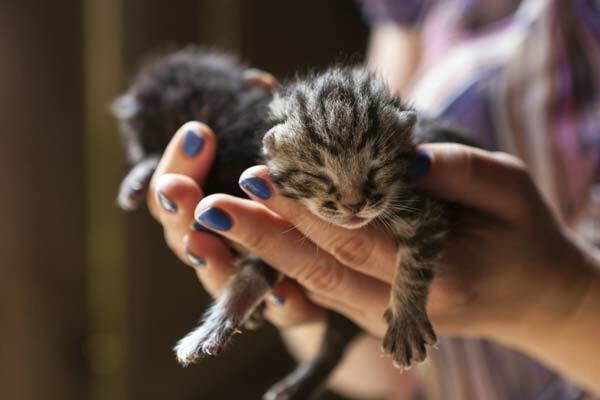 Kitten are born deaf with closed ear canals that open up around 17 days of life, allowing them to start hearing. Ears also begin to stand up at this point, helping them to develop their orientational skills in their environment. When they begin to walk, their inner ear and vestibular system help them to balance as they move about, coordinating their movements. Throughout a cat’s life, optimal ear health likely means vitality and longevity, sensing and hearing dangers in the environment in order to be able to avoid them in time, as well as to climb, jump, and explore without restrictions, much like how our beloved feline companions love to pass their awake and active hours, indoors and out. As a caring cat owner, learning to differentiate between healthy and sick-looking ears, as well as to recognize the first signs and symptoms of your cat’s ear problems is just as vital part of conscientious ownership as picking the right food, grooming, or offering a safe and clean place to sleep or use the litter box. Ears that are not regularly inspected, cleaned, and monitored for various problems, are more likely to become the hotbeds of infection or possible infestations, all of which that could lead to further injuries, chronic problems, and in extreme cases, even fatalities. Learning what to look for in your cat’s ears will save a lot of trouble, in the long run. Can I Clean My Cat’s Ears at Home? 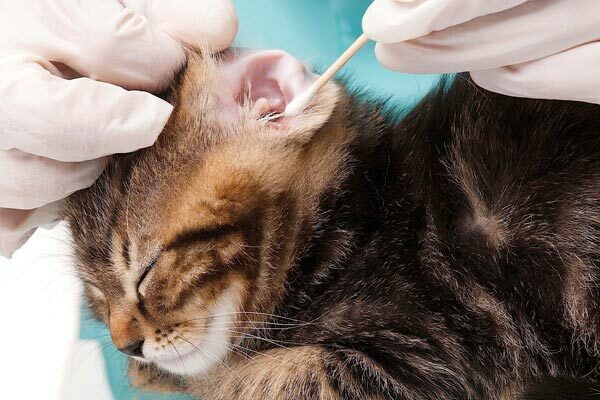 In most cases, cleaning your cat’s ears by yourself at home is a safe procedure, not needing a veterinarian’s attention, especially if you regularly inspect their ears and remove dirt or excess earwax. Medical care is only warranted when other concerning symptoms emerge aside from dirty ears when your cat shows distress in different ways. What to Look for When Examining My Cat’s Ears? When you examine your cat’s ears, they could be clean and problem-free or you could find that they are greasy, dirty-looking, and full of debris that you may be unsure about. Sometimes, what you find in your cat’s ears is actual dirt, dust, sand, or other small debris. It can look fairly obvious, of various colors, sitting on the inner surface of your cat’s ears or trapped deeper in the ear canals. In other cases, dirt could point towards a more serious problem, which we will discuss below, shortly. Excessive earwax is often related to food allergies, with or without itching and a noticeable increase in your cat’s urge to scratch their ears on the inside. In this case, you may find yellow or brown earwax buildup or soft, almost liquidy discharge upon checking your cat’s ears. Much like in the case of excess dirt, when there is too much earwax, there is a likelihood that something else is taking place, one that you definitely should pay attention to and learn to recognize right away. Read on to find out more about this ear condition. In certain circumstances, dirt, debris, yellow or brown earwax may all begin to look like black, grainy, coffee ground-like substance in your cat’s ears. This is almost always the telltale sign of mites, tiny parasites that feed on earwax and skin debris. The black color is caused by the presence of old blood, the result of excessive scratching. When Should I Turn to a Veterinarian to Examine My Cat’s Ears? In most cases, you can take care of cleaning your cat’s ears right at home, without making an extra trip to your veterinarian. However, if you see the signs of a potential ear infection or a mite infestation, seek medical assistance to relieve your pet from their bothersome symptoms. How to Clean My Cat’s Ears at Home? First, prepare all the supplies you will need during the procedure. These include a large towel, cotton balls, q-tips, or alternatively, small gauze pads, and a liquid ear cleaner of your choice. 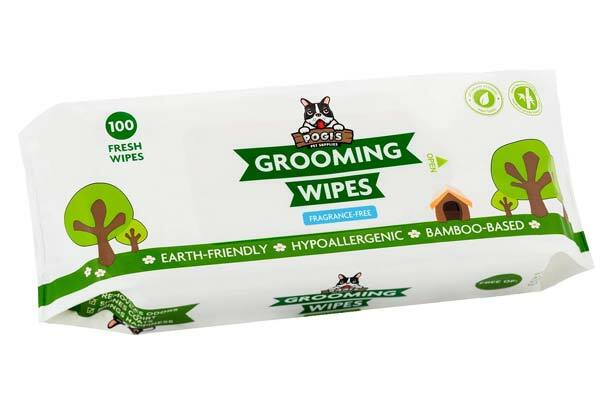 Specifically designed to safely clean your cat’s ears, these are great choices if you can obtain them; however, they are not absolutely necessary. In your household, it’s likely that you already have great alternatives to use as liquid cleaners. While a safe solution to clean your cat’s ears with, hydrogen peroxide tends to dry their outer ears; in the long run, it could lead to further scratching and dead skin debris in your cat’s ears. Hydrogen peroxide can be useful if you find wetness or fluids inside your pet’s ears; discontinue it when you find that the outer ears are dry once again. Similarly to hydrogen peroxide, rubbing alcohol is an option when wanting to get rid of a light outer ear infection. You should stop using it if you experience excess dryness and increased itching of your cat’s ears. In many cases, especially if you merely need to remove dirt, sand, or debris, tepid water might work perfectly to clean your cat’s ears with. Add two equal parts of cold water and one part of boiling water to create a mixture with a comfortable temperature to use. Oils, such as olive or other vegetable oils are excellent choices when cleaning your cat’s ears because they mix with the dirt and debris, dissolving these, freeing up your cat’s ear canals, improving itching, hearing, and appearance at the same time. In most cases, oils are probably your best bet to use as all-purpose cat ear cleaners. After gathering all your supplies, it is important to restrain your cat to avoid being scratched. This will also provide easier access to their ears. Wrap your pet in a large towel and hold them firmly so that they can’t squirm out of your hold, making the procedure lasting that much longer. Using wet cotton balls, holding your cat’s earlobe, loosen and remove any larger dirt and debris. Then, dip a q-tip into your chosen cleaner liquid, and begin to clean your cat’s ear cartilage, making sure that you don’t push the q-tip into the ear canal to avoid ear trauma and puncturing the eardrum. As you’ve seen, cleaning your cat’s ears regularly is a great way to remove trapped debris, to avoid or heal an infection, and uncover an ongoing mite infestation; therefore, developing a regular schedule to check your pet’s ears is crucial. Without this, you may not notice a new problem right away. Doctors Foster and Smith recommend the following ear-cleaning schedule: check your cat’s ears once every week to ensure that they are in top shape and catch the first signs of a developing problem early on. At the same time, you can inspect their eyes, teeth, coat, and ears too. If your cat spends any time outside, especially where there are other outdoor cats during the warm months when a mite infestation might spread faster than usual, you may need to take a look at their ears even more frequently, two or three times per week. I Have a Kitten; Should I Clean Their Ears Too? Kittens usually have healthy and clean ears; however, mite infestations are common at this age, particularly amongst littermates: if one kitten develops the characteristic symptoms of mites, it’s highly likely that all of them are affected or potentially going to be impacted by the infestation in the near future. Vet Street suggests that similarly to adults’, kittens’ ears should be checked regularly too. If black, coffee ground-like substance is found, consult a veterinarian; preferably a medical professional should clean a young and small kitten’s ears, as they have the experience to handle their tiny, delicate ears with special care, avoiding injuries. Final Conclusions; What Is the Best Way to Clean My Cat’s Ears? With a few simple tools and household necessities, like olive or vegetable oil, you can easily and safely clean your cat’s ears at home. Make it a habit to examine them frequently and learn to recognize the signs that warrant a veterinarian visit. This way, you will keep your feline companion’s ears in top shape for many healthy years to come.